Doubtless you know about the Big Banana, the Big Merino and the Big this and that to be found around this wonderfully crazy land of ours. Now a fast food shop in the eastern suburbs of Sydney is laying claim to not just the Big, but THE BIGGEST HAMBURGER in THE WORLD. The burger was prepared in early June at Ambrosia on The Spot in Randwick and came in at a whopping 90 kgs knocking the socks off the previous best of a mere 84 kgs. The massive meal was made according to the Guinness World Record rules and the proprietors at Ambosia on The Spot, Joe and Iman El-Ajouz, are waiting to have their record claim confirmed by the Guinness people. What an achievement for these fast food operators in a suburban store in Randwick. Joe said, “ the idea came to me out-of-the-blue, in the middle of the night and once it was in my head I was not going to rest until I had given it a go. It took me some little time to convince my suppliers that we were serious about wanting to make the record attempt. After all it’s not often that my bread supplier gets an order for a bread roll with a diameter of 90cms and weighing 21kgs. The suppliers got into the spirit of the challenge with me and delivered according to my fairly unusual specifications. The staff at Ambrosia were not at all sure I was serious until they were asked to prepare 120 eggs, 120 slices of cheese and the rest of the trimmings. It was indeed satisfying when it all came together as planned and we were confident in seeking to have Ambrosia on The Spot recognised as the home of The WORLD’S BIGGEST HAMBURGER”. The huge burger was distributed far and wide for consumption among customers, supporters and suppliers and in the process $2,500 was raised for the Sydney Children’s Hospital. 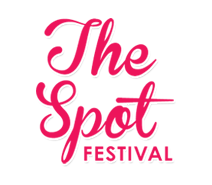 John Deegan, Chairman of The Spot Business Association said; “It was an inspired effort by Joe, Iman, their staff and suppliers. What an example to small businesses everywhere. You don’t know what you can accomplish until you give it a go! We are proud of our small precinct in Randwick that just goes on getting better all of the time – as our motto suggests: ‘Visit The Spot and enjoy – you will want to come again”. The Ambrosia menu states that with two weeks notice and at a price of $2,500 they will make you the world’s biggest. However if you are not into the Full Monty they do have the more manageable “Monster” ($22) or “Giant”($16) models. For the less adventurous there is always the regular and very tasty range of hand-held burgers. Ambrosia won best fast food takeaway business in Randwick Council’s Business Excellence Awards last year, so they sure are doing lots of things right.